Your search for the perfect home in West Houston ends here. 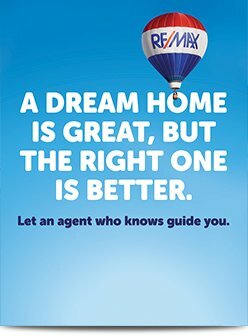 Welcome to JonathanMcNabbRealtor.com. Built by REALTOR® Jonathan McNabb, this site is designed precisely to help you locate what you’ve been looking for quickly, effectively, and easily. Looking for guides, home search tools and other resources? You’ll find them here. West Houston has it all – beautiful surroundings, incredible outdoor activities, world-class schools, thriving businesses, myriad shopping and dining options – you name it. This is the ideal place to live, work, and play, and Jonathan looks forward to helping you find a home in this exceptional area. Whether you’re looking to buy or sell your home in Katy, Richmond, Rosenberg, Fulshear, Sugar Land, or other communities in West Houston, this site has you covered. Look through the featured listings, or use the handy search tool, which is completely customizable. The site also has up-to-date information on the region’s various master-planned communities such as Cinco Ranch, Cross Creek Ranch, Firethorne, Lakes of Bella Terra, Sweetwater, Cane Island, Elyson, Bridgeland, Towne Lake, and more. Are you new to real estate? You’ll also find helpful information and guides here as well, which will help familiarize you with the whole home-buying and selling process. Armed with dedication and a keen eye for detail that has been developed over 15 years of working in different facets of the real estate and legal industry, Jonathan effectively & passionately helps his clients with all of their real estate needs. Jonathan is also a native Houstonian with extensive knowledge of the Houston and surrounding areas. 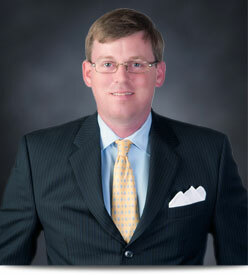 Jonathan McNabb has earned multiple real estate professional certifications and designations. His wide knowledge of legal issues and contracts, and his insights into the market trends in the West Houston area gives his clients an unbeatable advantage at the negotiation table and everywhere else. If you’re ready to start looking for your dream home or for the right buyer, you can get in touch with Jonathan McNabb at 713.730.5050 or mcnabb@jonathanmcnabbrealtor.com. He looks forward to hearing from you! Jonathan McNabb has been rated by 16 clients. “Jonathan is hands down the best realtor I have ever dealt with and will ever deal with in the future. I always recommend Jonathan to anyone who needs a realtor because I am completely confident in his abilities and expertise. Jonathan worked endlessly to secure the sale on my house and to get me the best deal. Jonathan is always available and so easy to talk to. He always made sure I was educated and comfortable before we made any decisions. “Jonathan and Sherry McNabb were recommended to me by one of my best friends of many years. Once I got to know them I can honestly say that, they will be with you since day one! They were there to help me set up the house for pictures. The presentation of the home to potential buyers is amazing. I did most of my work with Jonathan. Jonathan is one of the best relator/ persons I have ever worked with. He is a darn HARD worker and is not afraid to stay up late to get the job done. He is an ABSOLUTE GREAT COMMUNICATOR, there was nothing that he knew that I didn't. During the selling/ buying process, communication is the key to a successful and hassle free experience. I was out of country when the process began for the sell of my home, and even with me being gone they communicated with me and walked me through everything. Then Hurricane Harvey came along and they stood by and helped me through everything. “Jonathan provided us with superb service. 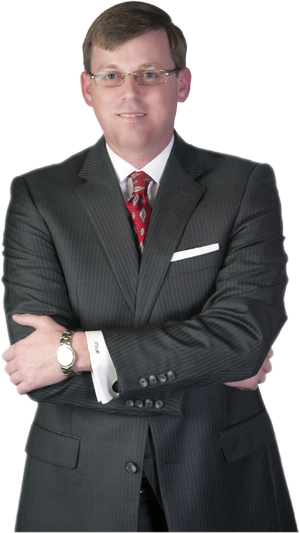 His knowledge of residential real estate proceedings and law, Houston neighborhoods, layout, and current events is extensive. He is the utmost professional yet he is personable and very comfortable with assuming the role of a caregiver, so to speak, with our real estate needs. If I had a question or concern, he wanted to take as much time and energy with taking care of our. It seemed like we were his only clients - we knew we could trust him completely. Jonathan made sure all documents involved with our purchase were taken care of; his follow-up skills are excellent - he never missed a beat, always informed us what documents the mortgage company and title company would require. He found houses for us to view, but also welcomed our requests to see any houses that we might find on our own. I've already started bragging about him to friends and family. Jonathan has a winning personality; we enjoyed the time spent with him in finding us a house we love. We can't say enough positive things about him as a realtor and an outstanding person! “Jonathan and Sherry McNabb were very professional. At our first meeting they presented an aggressive marketing plan and they followed through every stop of the way. Throughout the process Jonathan and Sherry McNabb had excellent communication with us. They were very prompt and kept us informed in a timely manner They had an immediate solution to every "glitch" that presented itself. Outstanding service was provided by them thru the entire process. Selling your home is a stressful experience. Jonathan and Sherry handled every step with professionalism, resourcefulness and respect of our needs. The inspection issues were handled in a timely manner. They made us feel like our needs were their priority. “Jonathan was wonderful to work with and made me feel like a top priority. He continues to help even after closing with all the final details. Always easy to get a hold of and had very timely communication. “Jonathan is an excellent realtor. He gives his customers very personal attention. I sold my family home (very hard decision) and he made the process very seamless and showed genuine care. My home was placed on the market on a Saturday and sold by Wednesday.